Bread boarding of circuits is a key skill in electrical and electronic engineering and is very important in almost all projects. This technique is more important when you are going to move the wiring through and around the substitute components in the design. Printed circuit boards are solutions to eliminate drawbacks of in the bread boarding of circuits. PCB design is expensive in most of the time, and it is the main reason why people do not consider translating their circuits over it. Custom PCB fabrication is used for commercial use and commercial purposes. PCB design has different technical limitations, which is why students are not able to cater with the use of PCB designs. 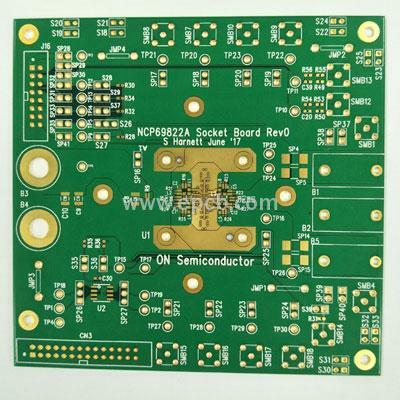 There are different software available for custom PCB fabrication. Eagle CAD and Proteus software are efficient to help people customize their PCB designs. The design of these software are close to professional level, but very cheap. It has been approximated that the cost of the custom PCB designs through such software are as low as $20 to $75 at max. The PCBs are basically having a rigid layer of insolation with copper traces all over it from top till bottom. The holes are drilled over the vias which are usually round and then components are installed on it through soldering iron. Some PCB designs have custom layers and are over 2 to 7 layers, and these PCBs are very difficult to design and tough to assemble components on it.